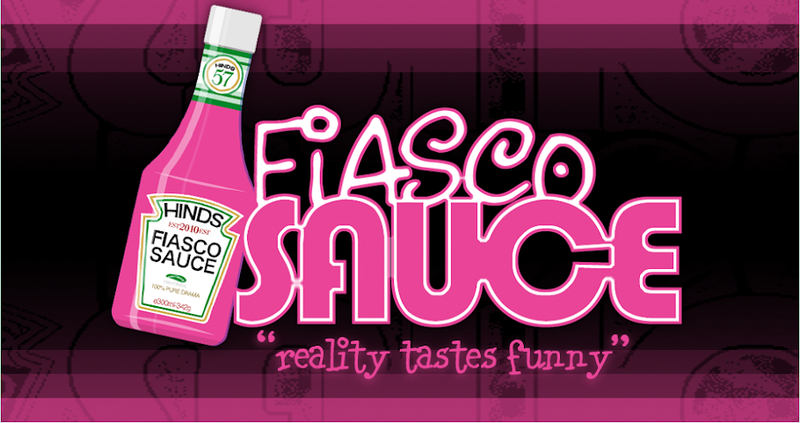 Fiasco Sauce: Big Easy Brides "Sunday, Bloody Sunday"
The first wedding of the episode belongs to Mystee and Garrett. They want a balcony wedding in the French Quarter. The wedding itself is short and sweet, but the after party goes on a little too long for the bride. Mystee and Garrett both find themselves attracted to a female who is, as tradition calls for in New Orleans, flashing them in exchange for beads.They invite her to the party ... and then both, one at a time, decide to ... um .... get to know her a little better. The drunk girl then wonders off. However, later in the evening ... Garrett is nowhere to be found. OF COURSE he's with the wasted party girl. So, I wonder if they are still married? It's a courtyard wedding for Josh and Leeann! It's raining so .. it's a balcony wedding for Josh and Leann! They are a young couple so they outfit themselves appropriately with a tux that's too big, a white gown that's too tight, and tattoos that are too obvious. However, you know but you know but you know ... there's gotta be some drama or why bother? The drama shows up in the form of Josh's ex-girlfriend who accuses Leann of being of ill repute. Nobody cares. I sure don't. Six foot 8-inch tall Sean and 4 foot 10-inch Bridgette have found love and a stepladder so they are going to make it permanent. The wedding planner, Maria, asks all sorts of inappropriate questions about their love life, and the couple doesn't seem to mind very much. It's a done deal as Sean takes a knee so he can look directly into Bridgette's face. They saved the best for last ... the vampire wedding! These two dimwits, Queen M. and Steve, have labeled themselves vampires, and they want an appropriate bloodsucking wedding. First, a voodoo cleansing ceremony. Something all girls dream about. Then, the ceremony must be at a mortuary rather than ... oh a church or chapel. And finally, a request for raw liver and raw meat at the wedding reception. They are expecting 15 vampires along with the 10 humans and the one "pet" ... a weird little blonde woman who supposedly lets the vampires drink her blood. The maid of honor at this perverse gala is Lady Sue, whose gloomy and bizarre behavior has you almost believing in this ridiculousness. And, this woman eats raw liver ... gobs of it. Maria, the wedding planner, seems a unnerved by all of this creepy behavior and weird liver lust especially after Lady Sue announces to her that ..."I've eaten better people than you." OK then. Finally, the wedding begins with the bride in a black corset ... and the groom dressed like the Count from Sesame Street ... and the weirdo maid of honor with her long, stringy hair ... and the fanged guests. Did I mention they all have fangs? During the ceremony, the bride refuses to say "til death do us part" because as we all know, vampires are undead creatures. They exchange vials of blood instead of rings ... reminiscent of Billy Bob and Angelina Jolie? Whatever, it's their celebration. More next week about this freak show.